Celebrating Blue Angels Over Annapolis and Maryland’s Blue Crab, Terrapin and Oriole. 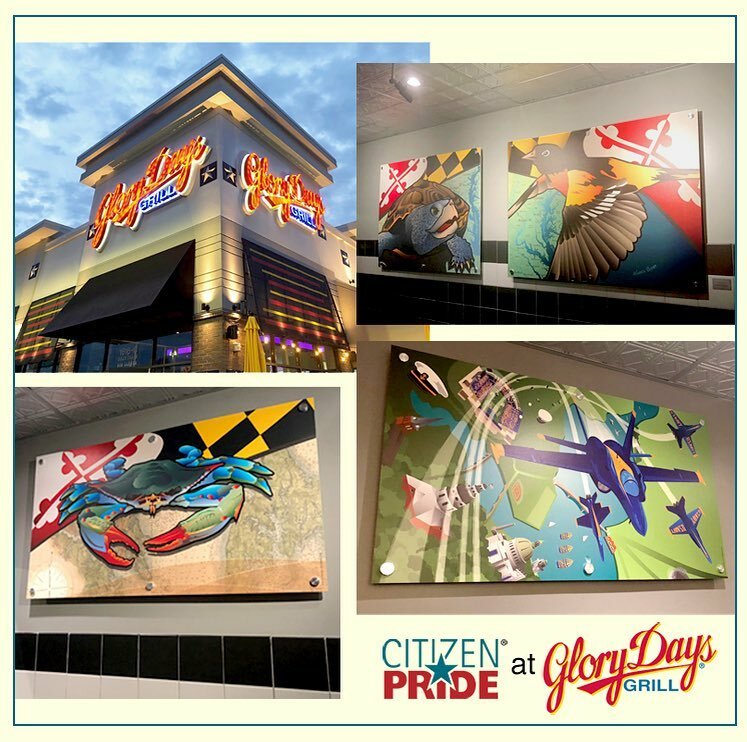 Drink plenty of fluids and you’re sure to find our work at the NEW location of Glory Days Grill near BWI Airport. We are truly proud to be part of this sports-themed American grill and working with Interior designer, Charissa Costa Bauhaus. We were there last night with the family and loved the delicious food, fun atmosphere and of course, local art!